Rahul Gandhi also accused the BJP of using religion and ethnicity as weapons for playing such politics that pitches a brother against a brother and fans hatred in society. 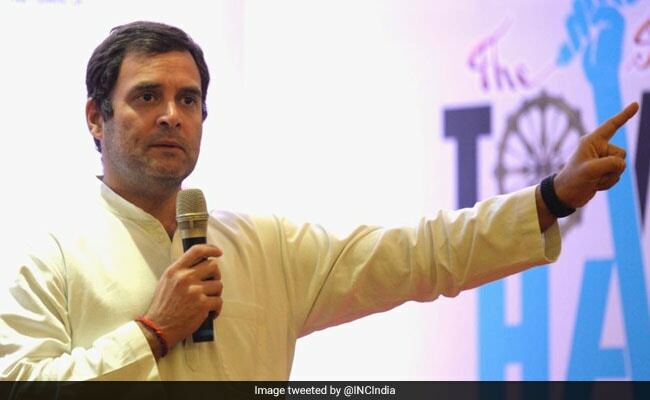 Congress president Rahul Gandhi Friday expressed concern over protests and unrest in the northeast and hit out at the BJP for trying to "polarise" the region for political gains, saying such politics must be stopped. He also accused the BJP of using religion and ethnicity as weapons for playing such politics that pitches a brother against a brother and fans hatred in society. "I am disturbed by the growing violence & unrest in the N East where religion & ethnicity are being used as weapons by the BJP to polarise the region for political gain. This type of politics, that pitches brother against brother & fans hatred, is evil & must be stopped," he said on Twitter. His remark came in the wake of protests by various sections over the Citizenship Bill in Assam, ahead of general elections.